Are Your Emotions In-Tune with Your Jewelry Marketing Plan? Willy Wonka – World’s Greatest Marketer! Tell me if you have ever experienced the following scenario. You have a friend that you haven’t spoken to in a long time, let’s say her name is Judy. Suddenly Judy pops in your head and you recall fond memories of time you’ve spent together. Part of you is sad that the two of you haven’t seen each other in a while. Several days pass and you’re inundated with work, the only thing on your mind is keeping up with work demands. Your phone dings and you look down to see that a new text has arrived, who texted you? Judy!!!! Hmmmm what a strange coincidence?! What are the odds that Judy was thinking of you at the same time you were thinking of her? It’s my deep belief that this is no coincidence at all. Many deep thinkers believe that there is a higher consciousness at work at all times. Here’s a quote that supports this notion….“Shallow men believe in luck or in circumstance. Strong men believe in cause and effect.” – Ralph Waldo Emerson. This consciousness may be a universal energy source, it may be God, maybe it’s Karma, or Mother Nature. It really doesn’t matter what spiritual practice or religion you subscribe to, something or someone out there has the answers to everything. For the sake of honoring everyone’s belief system I am going to call it the Universe. The Universe knows when you’re not ready to receive what you claim to want. Very sobering thought isn’t it? When your feelings and emotions aren’t aligned with your thoughts and words, the Universe will not deliver. Your thoughts and emotions were in perfect alignment when Judy texted you. Still not a believer? Ok. Ever have a morning when you woke up on the wrong side of the bed and the entire day just goes terribly wrong? On the contrary, have you ever had a day when you woke up feeling very positive and everything went your way? You’re probably wondering what my point is. My point is that no marketing plan is complete without the right state of mind. Why spend 10’s of thousands of dollars or in some cases hundreds of thousands of dollars promoting your business if the Universe knows you’re not ready to receive the benefits? The proper state of emotion spills down into every aspect of your business life. Your employees will unknowingly absorb your positive emotions and your customers will do the same. These positive emotions give you the jumping off point to find the right words to formulate successful sales presentations. They also give you inspiration to find the right ideas for creating successful marketing campaigns. Your ideas will flow and they will be most creative when your emotions are positive. 1. The universe will give you the wisdom and knowledge to promote your jewelry business. 2. Your employees will absorb that energy and unwittingly act in ways that support your cause. 3. Your customers will do the same. 4. The universe will provide you with leads and sales inquiries. 3. Recite your statements daily – Every morning and in front of a mirror repeat your statements aloud and with a smile on, repeat them 3 times each. Make sure you limit your lists to a 2-3 at a time and make sure that make you feel the most hopeful. 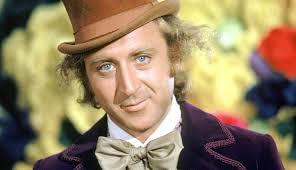 I’ll leave you with one final quote….”We are the Music Makers and We are the Dreamer of Dreams.” – Willy Wonka. Your jewelry marketing success begins right there, inside of your precious heart & mind. Have a great day everyone!